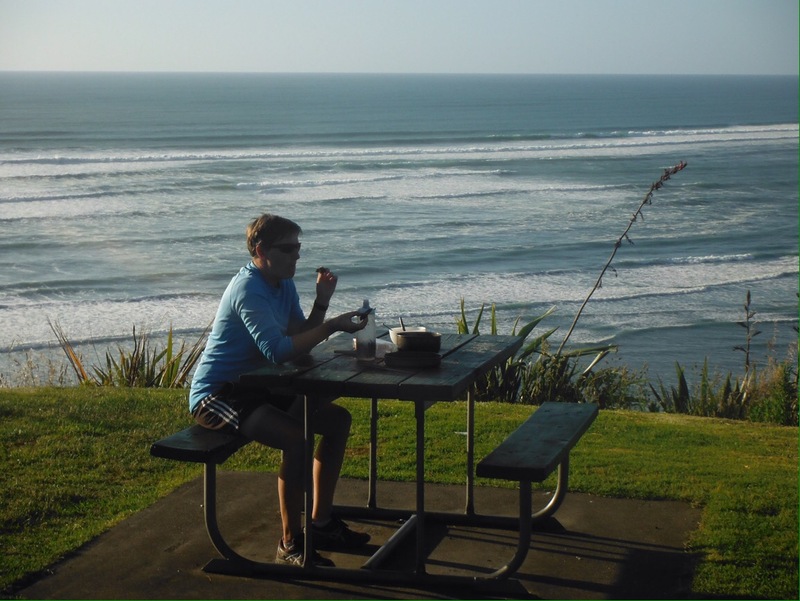 To get back to Auckland in time to celebrate Christmas with our NZ famil-Lee we had to find an alternative to cycling. 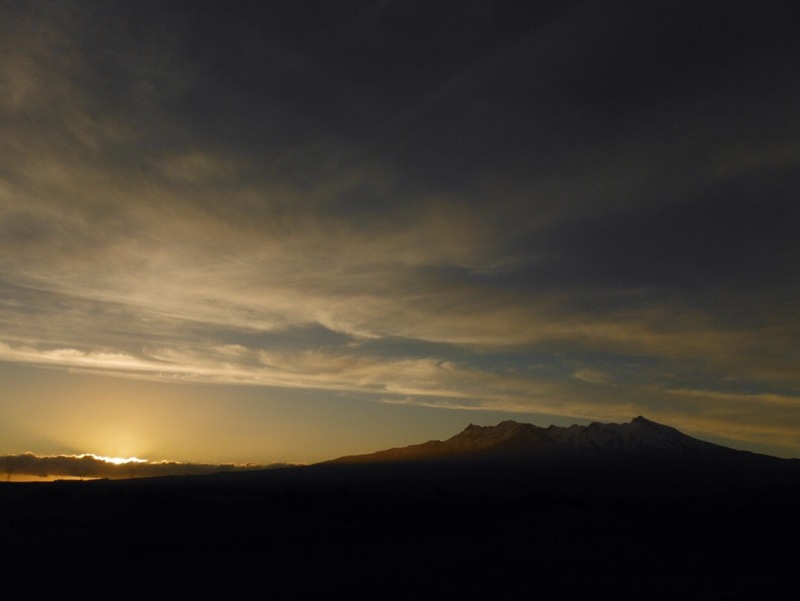 Flying was an unattractive prospect and buses are still not on a full schedule after the Kaikoura earthquake so we investigated how an extra four wheels might help us. 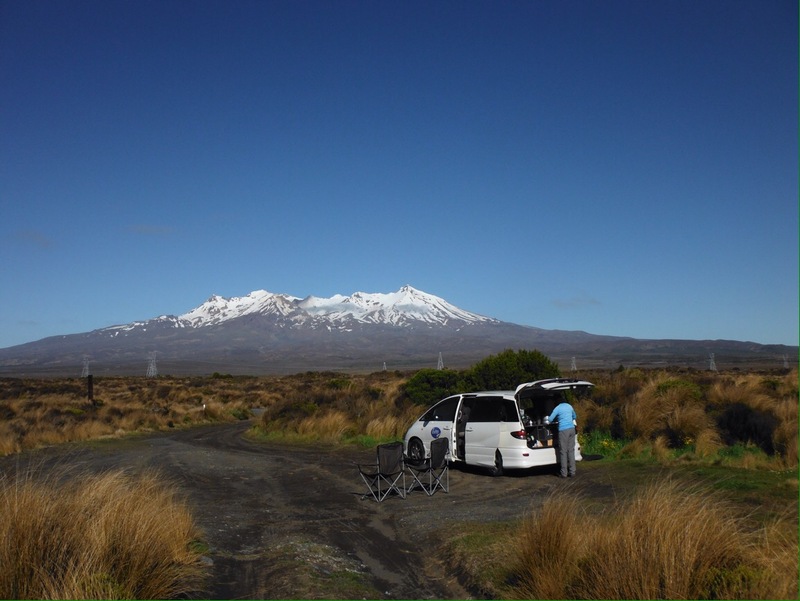 Most people who rent cars and campervans here pick up in Auckland and drive somewhere in the South Island to fly home. So luckily for us, rental companies need these vehicles driving back up north and offer nice perks to counteract the fact that they need them back as quickly as possible. 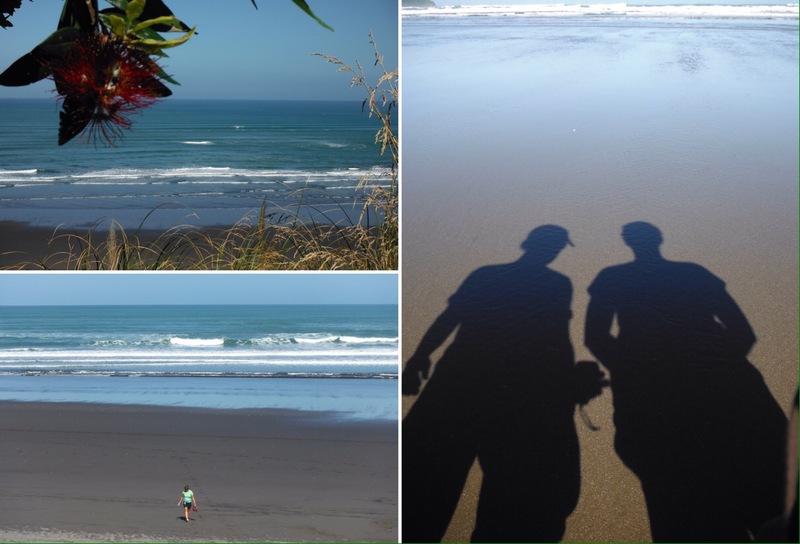 We managed to book a small self-contained camper for free, as long as we took no more than four days to get from Christchurch to Auckland (1300kms). All we had to pay for was one passenger on the ferry, and the petrol. Deal. First of all we had a day to look around Christchurch. The city is still in recovery after the major 2011 earthquake that killed 185 people and destroyed most of the CBD. Since the last time we were here (2012) it looked like the city is progressing well – piles of rubble have been cleared, empty lots have been tidied up and there are a number of new flash buildings. In 2012 the re:start shopping mall in bright shipping containers just had a handful of shops; now it is a thriving shopping space with cafes, street performers and food. It was very busy. 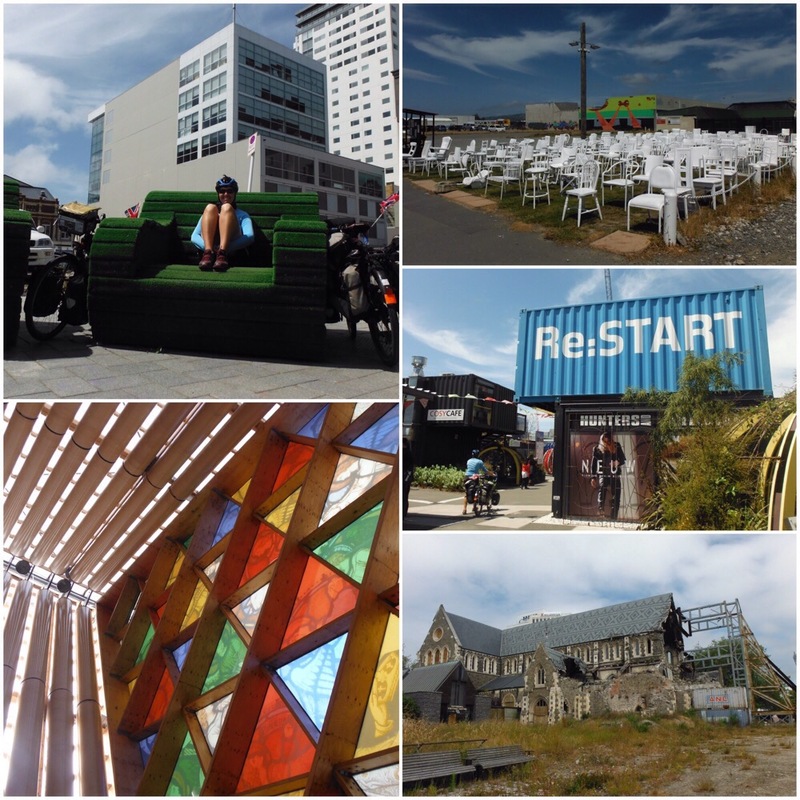 We liked Christchurch a lot. It seems like there is plenty going on, the regeneration is an exciting time, it’s a manageable sized city and there’s even decent cycling infrastructure. But we had Christmas in Auckland to get to. After not driving for well over a year we were a little apprehensive about getting behind the steering wheel. How would it feel to be travelling so fast? We had other things to think about too. How much does petrol cost these days? How often will we need to fill up? What’s the speed limit? Where will we park? How close can we get with the car? All things we haven’t had to consider in a long while. Especially not the speed limit. The camper itself was well thought out, with a small kitchen area at the back and a fold up bed/table in the main area. 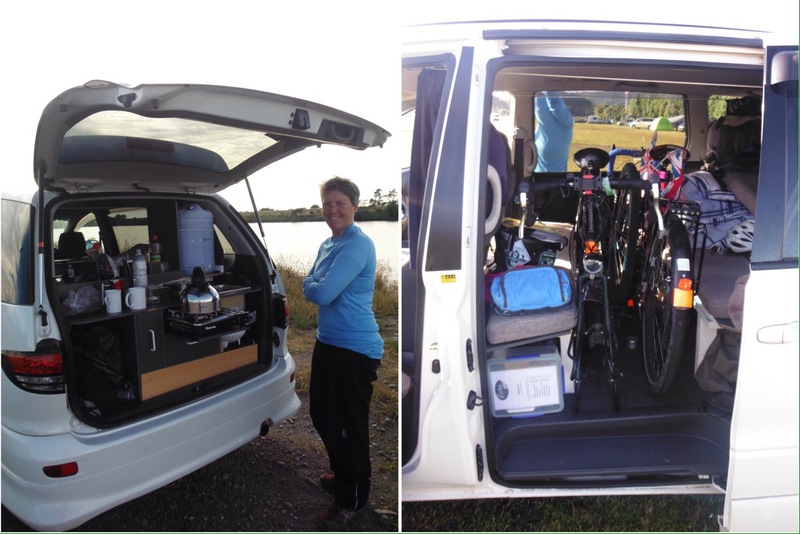 It came with everything you might need – all cooking stuff, real mugs, chairs and table to sit outside, gps, chargers, there was even the luxury of huge pillows and a duvet. Debs was excited to find a coffee plunger; I was more excited about a plug in tourist gps radio (that turned out to be dull). After listening to our iPod through its own speakers for months we could plug it in to the car stereo. We even had two big fluffy towels each. Not that we planned on showering, but nice to have them just in case. It also had a porta potty and a way to store waste so we had that all important “self-contained” sticker on the back. 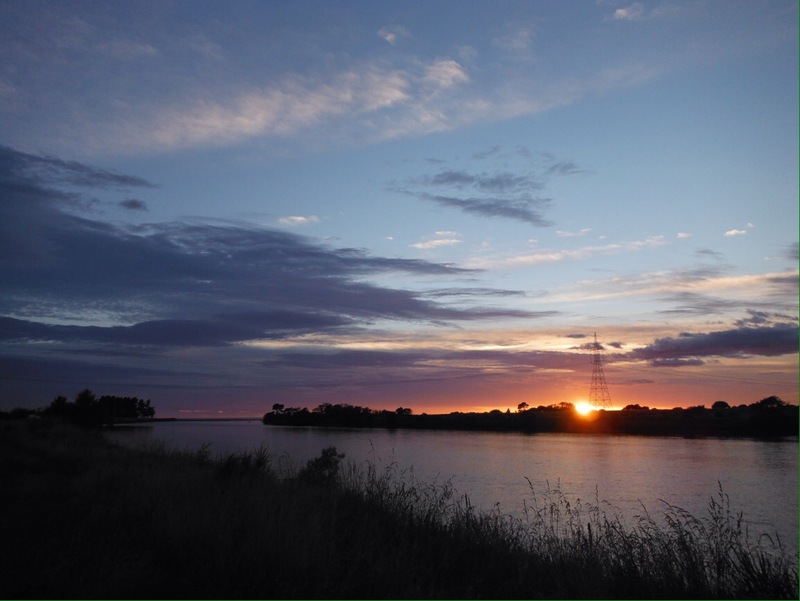 These are highly sought after as new freedom camping rules means that there are loads of designated free camping sites, but only if you have the magic sticker (so you won’t go in the bushes in the night). We were now one of those people who we were jealous of when looking for a free spot to pitch our tent and finding “self-contained only” signs. Life was good. It was luxurious even. Squeezing the bikes in around all of these luxury items was a bit tricky but by taking the front wheels off they stood between the bed and the front seats. Driving out of Christchurch was easy, it’s hardly a big city, and we had the pleasure of going to a supermarket knowing we could buy what we needed for the next few days all in one go. No need to worry about the weight. We bought an extra couple of tins of beans ‘just in case’. There was even a cool box so we could have real milk in our tea rather than powdered. These are the type of things we can usually only dream of. As the road through Kaikoura (the shortest way to ferry to the north island) is closed following a landslide after the most recent earthquake, we had a seven hour drive ahead of us to get to Picton. 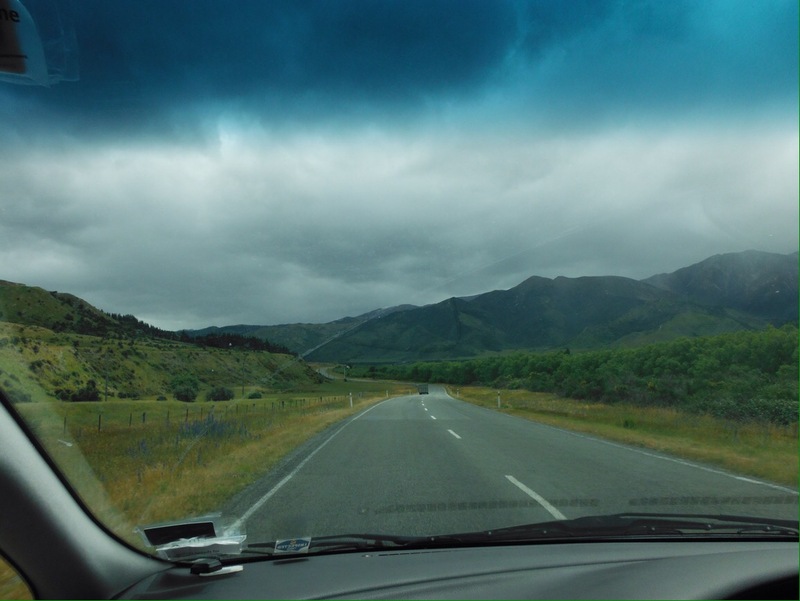 Excitedly we hit the open road, marvelling at how fast we were travelling, how we couldn’t even tell the road was going up (we had a pass to get over), and having nothing much to think about other than which album to have on next. The novelty lasted a couple of hours. That was all it took to realise how much we loved cycling. It was boring, particularly being the passenger. I think I fell asleep for a while. (While Debs was driving of course.) Everything went by so fast, it was hypnotising. On the bike you can stop and take a picture whenever you like. In the van it was more “that’s a good view can we… oh it’s passed now. Never mind”. We were up the pass and over the other side in no time, and I felt like we hadn’t really had time to look properly at the scenery. Both of us had to really concentrate when driving to make sure we didn’t gaze around, something you do without thinking on the bike. It was uncomfortable sitting still in the same place for so long, and there weren’t many places to stop and stretch your legs. But mostly we felt lazy. 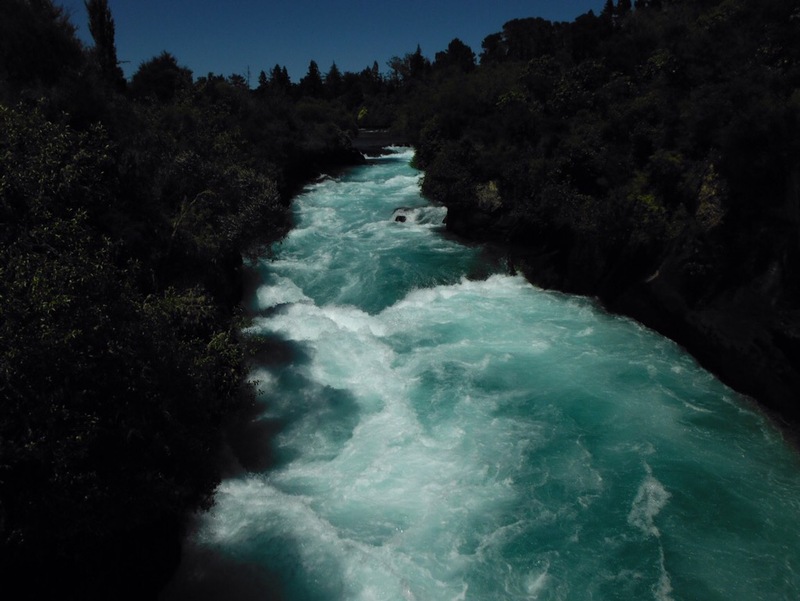 We had become so accustomed to the feeling of satisfaction gained from making distance purely through physical activity. It was strange because we expected to enjoy being able to travel so effortlessly, but it just felt wrong somehow. It also meant we couldn’t stop and eat every ten minutes like we usually do. That’s not to say we weren’t pleased to be in the van when it rained for the last few hours to Picton. It was pretty late when we arrived at a good free camp spot by the beach. Dreams of just being able to park up, get in the back and go to sleep within the space of a few minutes didn’t quite work out as we first had to manoeuvre the bikes out and lock them outside, but it was still a much faster process than tenting. We woke to an amazing sunrise over the river and cooked up a porridge breakfast that we could sit on chairs with backs to eat. 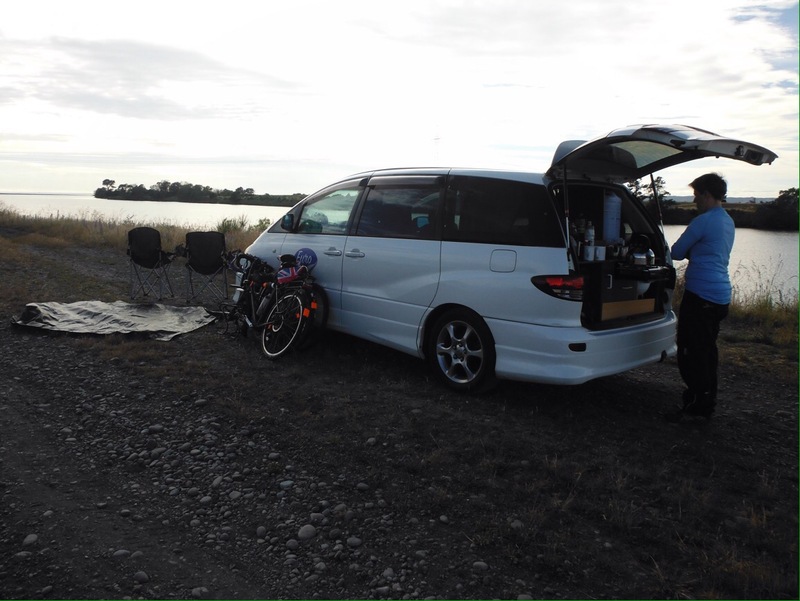 Whilst the actual travelling wasn’t as fun, the process of camping was made a lot easier with the van. 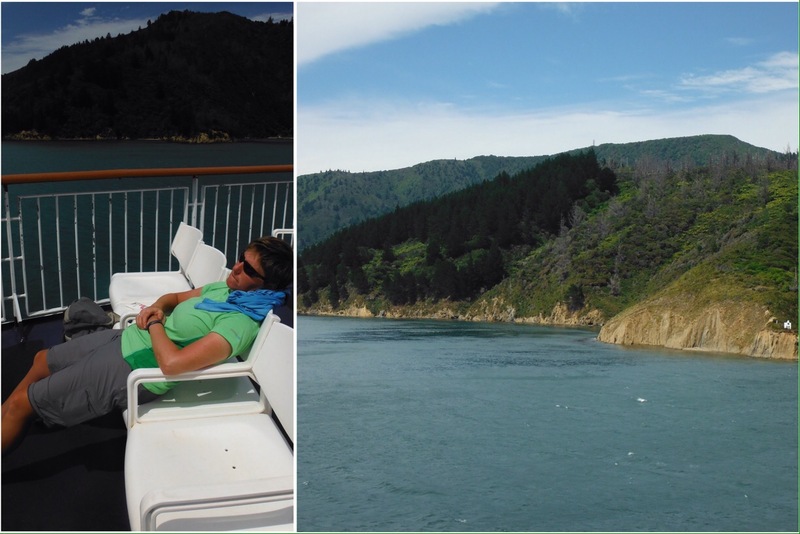 A three hour scenic ferry ride got us to the North Island and we had another mammoth drive to make sure we could meet up with friends from the UK the next day. 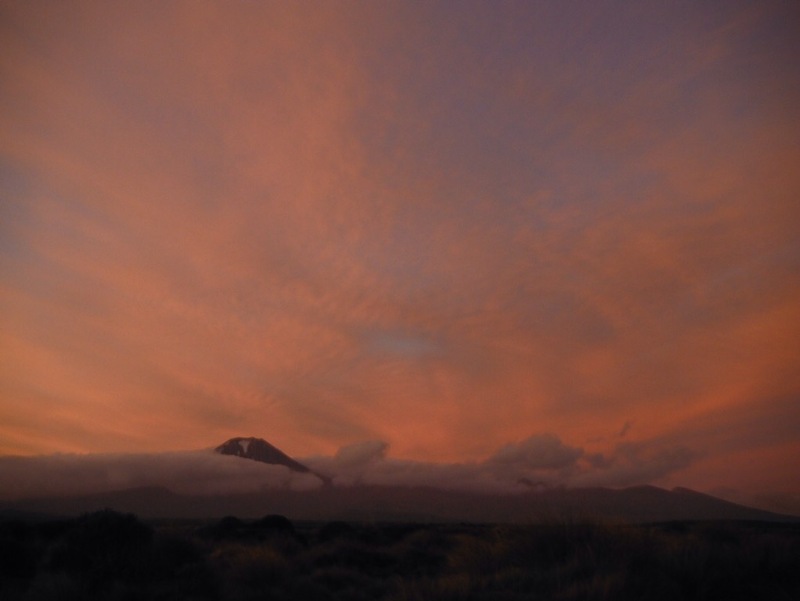 That night we slept by the side of the Desert Road at its highest point (over 1000m) on the edge of Tongariro National Park, in the shadow of Mt Ruapehu. 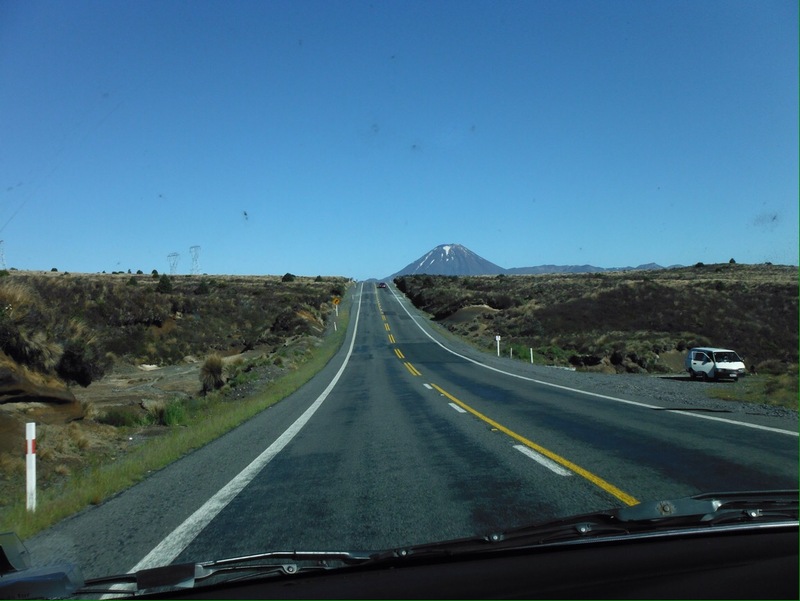 Mt Ngauruhoe (Mt Doom to LOTR fans) was also in view. Cooking rice and tuna as the sun set behind the mountains was pretty special, even if we hadn’t pedalled ourselves there. The next morning the sky was clear and the views even better. It was pretty cold up at that height so we welcomed the duvet. 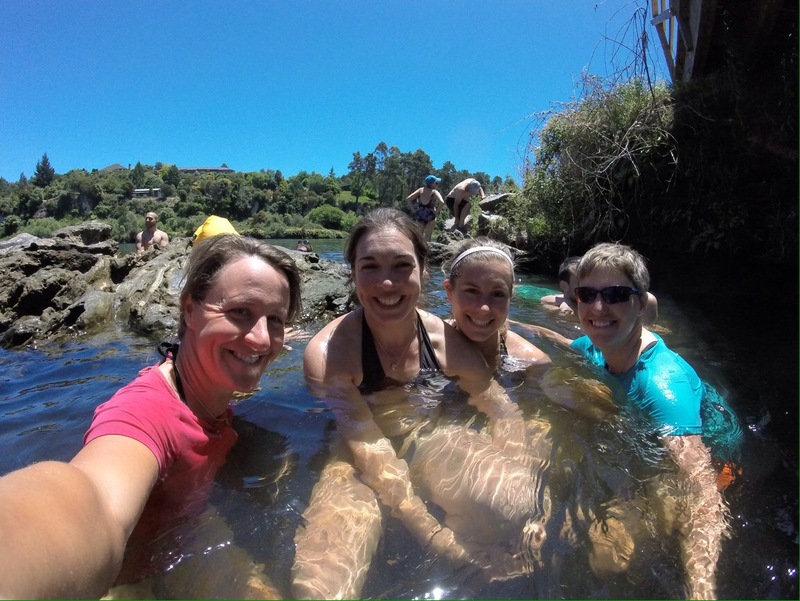 After a second breakfast on the shore of Lake Taupo we drive round to Huka Falls to meet friends for a walk and a soak in the natural hot pools. After not seeing anyone from home since April this was amazing! Time went too fast and we had to hit the road again. 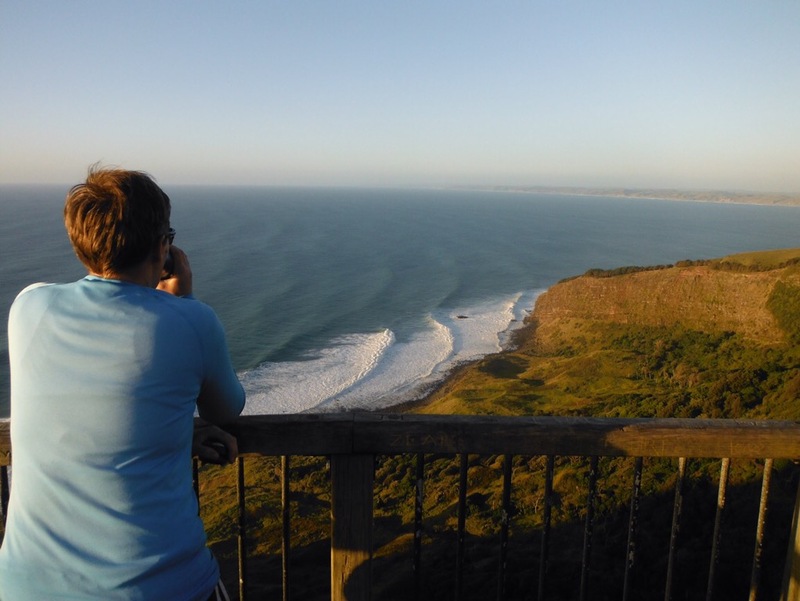 Searching for our first west coast sunset in New Zealand we drove north via Raglan, a west coast surf town with some great beaches. The sun set over the sea, we again cooked with an amazing view and the next morning we even had time for a couple of hours on the beach before dropping the van off and getting back on the bikes. A ride, train, ferry and final ride got us back to the North Shore. Thanks to Gen & Nick (again); Viv & George (again); Hels & Gaby for the English company.